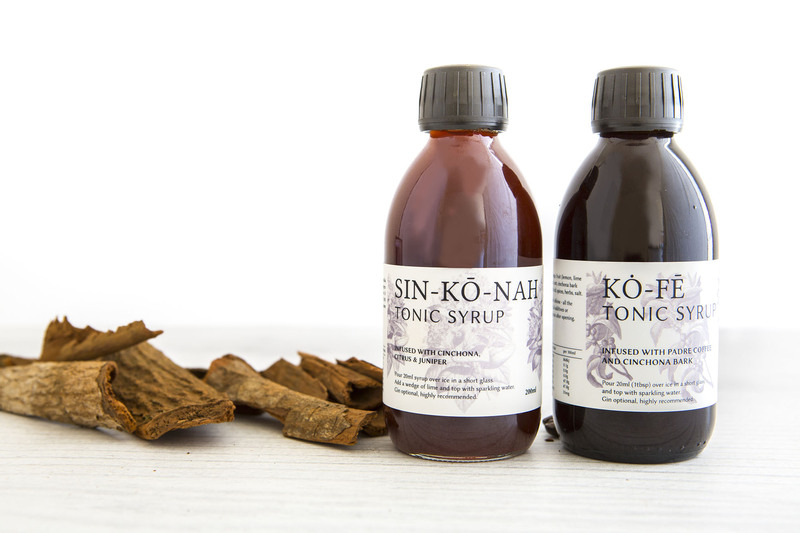 Made to a recipe formulated in the 1820s, our sin-kō-nah tonic syrup is infused with cinchona bark – the natural source of quinine. This is the defining ingredient of tonic water. Using the bark imparts a uniquely bitter flavour and distinctive colour to the syrup. We also use juniper berries, and local citrus – the zest and juice of lemons, limes and oranges for that piquant zing. Tonic syrup was originally concocted by officers serving in British India to ease fever and ward off malaria. Mixed with soda and gin, this highball cocktail became an icon of the colonial Empire. Quinine is a chemical that naturally occurs in cinchona bark. It is an anti-malarial, and muscle relaxant. It has been used at various times to treat stress, heartburn, upset tummies, leg cramps … and gin. 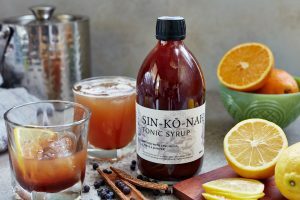 sin-kō-nah tonic syrup returns this refreshing tipple to authenticity, curing thirst and enlivening cocktails – alcoholic & non-alcoholic alike. 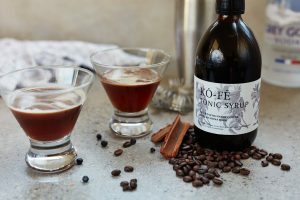 Our new kȯ-fē tonic syrup is produced in collaboration with Padre Coffee. Make espresso tonics at home with ease.